In May 1903, a middle-aged doctor from Vermont took a $50 bet, hired a mechanic, and set out from San Francisco in a 1903 Winton, New York bound. Sixty-three days later, having survived breakdowns, days lost and wandering, and 3,000 miles of "roads" strewn with gravel, dirt, or weeds, Horatio Jackson, Sewall Crocker and their bulldog, Bud, pulled into Manhattan. They were the first to cross America by car. Ever since, the open road has been calling. Of course, Americans crossed the country long before the age of the auto. Daniel Boone set out on foot. The fabled pioneers loaded their wagons. '49ers swarmed into California in search of gold. But the Great American Road Trip is a different story. Traveling coast-to-coast not for a better life but simply for the hell of it, to see and know the country, to fall in love with its mountains and rivers and plains, to be exhilarated, beaten down, bored, but driven onward -- that is the call many of us have always heard. Overland trips only became common in the 1930s. Hoboes hitched and rode freights. Woody Guthrie "roamed and rambled, and followed my footsteps." 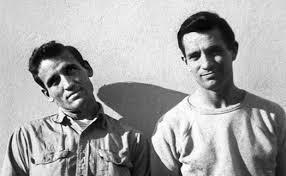 World War II put the road on hold, but in the late Forties an ex car-thief named Neal Cassady and a struggling writer named Jack Kerouac set out in a '49 Hudson. "It was drizzling and mysterious at the beginning of our journey. I could see that it was all going to be one big saga of the mist. 'Whooee!' yelled Dean. 'Here we go!' And he hunched over the wheel and gunned her; he was back in his element, everybody could see that. We were all delighted, we all realized we were leaving confusion and nonsense behind and performing our one and noble function of the time, move." On the Road passed the torch to a new generation of vagabonds. With time and mileage, the American road developed its own songs, literature, and lore. The romance was fed by John Steinbeck rattling over back roads with his dog Charley. And by Billy and Captain America, revving their Harleys in "Easy Rider." In 1974, disgusted by Vietnam and Watergate, Peter Jenkins walked (and hitched) coast-to-coast to restore his faith in the country. His book A Walk Across America, became a bestseller, as did a road saga by a laid off English professor, William Least Heat Moon, who traveled what he called "blue highways." Then in 1980, Montana-based novelist Thomas McGuane coined the term "flyover country." Cheaper airline fares made the vast stretches between the coasts easy to dismiss as dull, backward, not worth the trouble. I beg to differ. In the summer of 2017, The Attic set out cross-country. For most of the summer, I drove a SAG wagon behind eight cyclists who had heard the call. Ours was a northern route -- out of Anacortes, Washington, then up and over the gemlike North Cascades, through the panhandle of Idaho, into Montana and Glacier National Park, then out across the Plains. Eight weeks and 3,435 miles later, our not-so-easy-riders pedaled into Boston. This was my eighth coast-to-coast crossing. Hearing the call long ago, I crossed first by car (in 51 hours), then by bus, car again, train, bus again, train again, and so on. Decades had passed since my last crossing, however. But still in love with American names, I stood at Puget Sound and looked eastward -- to Concrete, Washington, to Wolf Point, Montana, to Napoleon, North Dakota . . . I was searching for a kinder, cooler America. I found it. 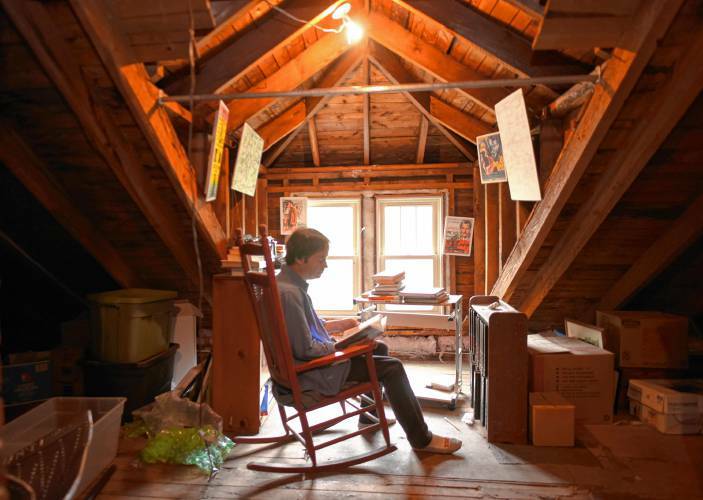 Here are my reports -- the Attic on the Road.